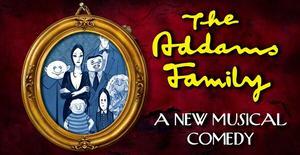 Join PMA Drama for their production of The Addams Family - School Edition in the Large Group Room. 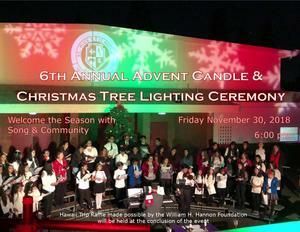 Tickets are $7 Presale and $10 at the door. 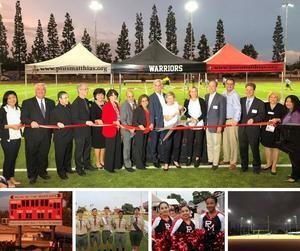 See photos of this historic event and milestone for the PMA Campus that took place on October 3rd. 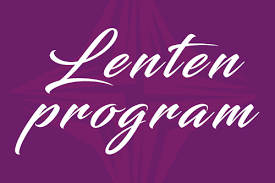 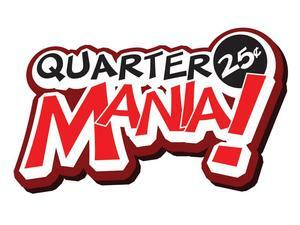 Join the Alumni Association on Saturday, March 2 at 6:00 pm in the Gym. 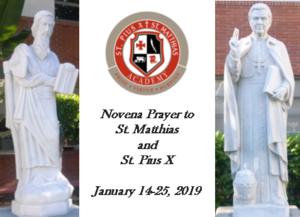 Archbishop Gomez to Celebrate Catholic Schools Week at PMA! 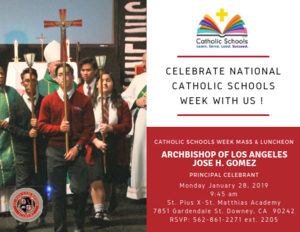 Los Angeles Archbishop Jose Gomez will be visiting PMA to celebrate Catholic Schools Week with us on January 28th at 9:45am. 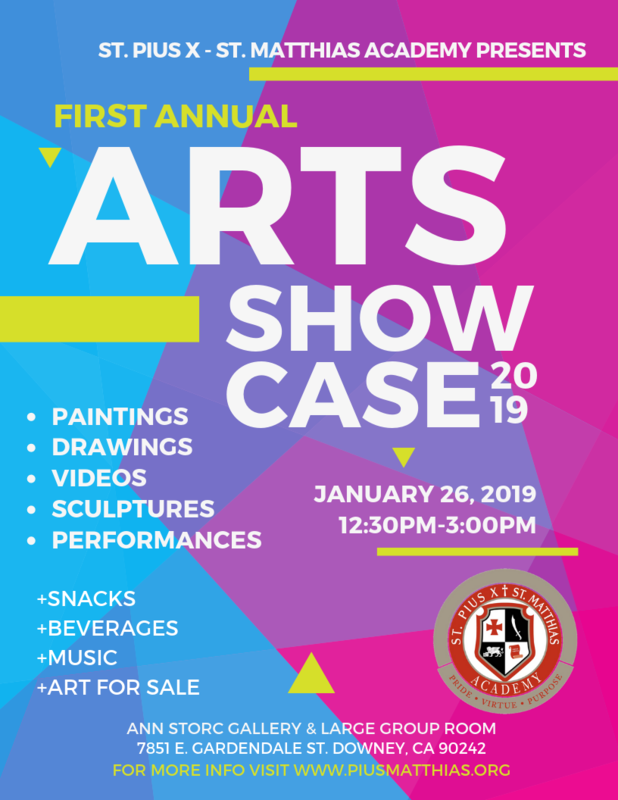 PMA's First Arts Showcase is on Saturday, January 26 from 12:30-3:00 pm. 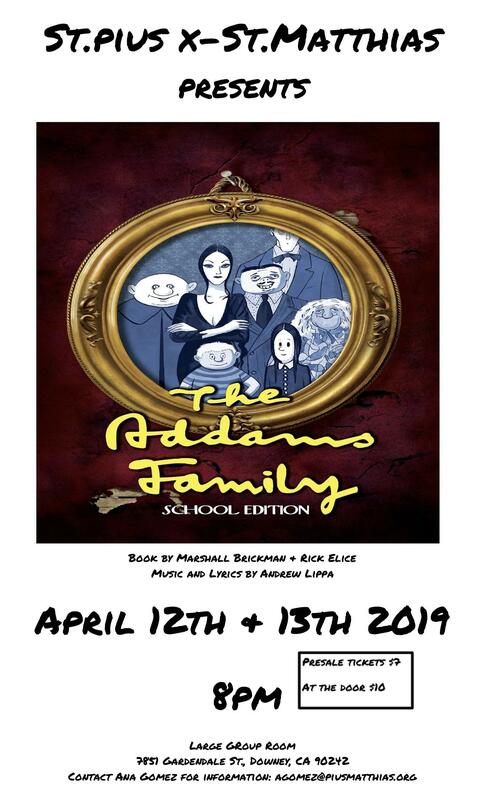 See what our talented students have created this year!